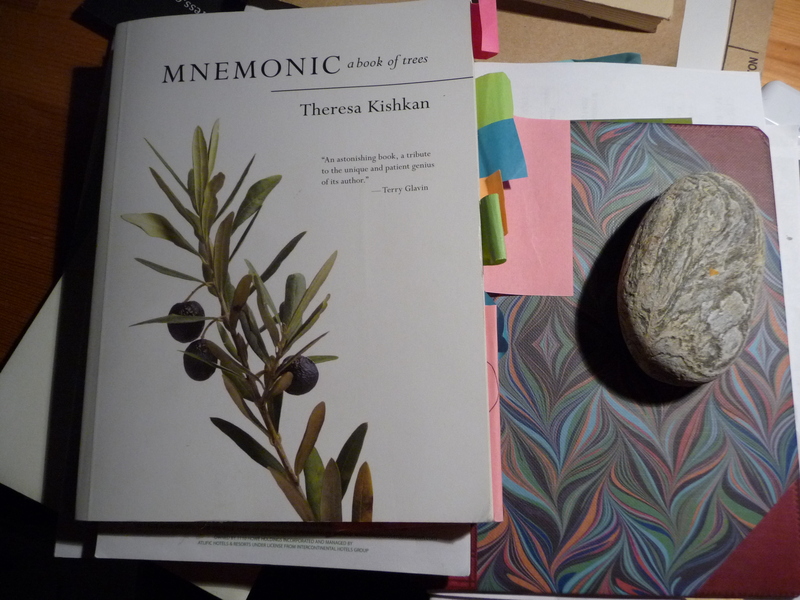 A year ago, I published a memoir, Mnemonic: A Book of Trees. Of all the books I’ve written, this one is perhaps the most personal. I trace significant moments and patterns in my life set against a larger arboreal canvas. Trees are the equivalent of Cicero’s architectural spaces. In thinking about them, their natural history and the human history associated with them, I discovered that they have guided me and sheltered me in ways I hadn’t even realized. I write this at my pine desk, looking out the window to a cascara, some firs, an arbutus, several cedars, a mountain ash. Every view from every window of my house is framed by foliage. In some of those trees, I see my children at play, building a fort, or simply climbing for the challenge of reaching a half-way mark. At the back of the house is a copper beech I planted to commemorate my parents and the little bits of grit at its base are their remains, still not completely washed into the soil. In many ways, the past year has been shaped by this book. I travelled a little to read from it – Vancouver Island, the Okanagan, Kootenays, even to Alberta. I read from it in Brno, Prague, Olomouc, Ostrava, Ceske Budejovice, meeting fascinating people along the way and hearing their stories of trees. I saw the spruces lining the road leading to the house my grandmother was born in which in turn have led me to the work of the great Czech photographer Josef Sudek – he photographed the Mionsi Forest in the Beskydy Mountains just above my grandmother’s village of Horni Lomne. All of this is contained in my current work-in-progress, in some ways simply an extension of Mnemonic. Maybe that’s the best way to look at my writing in general: a single ongoing work. The other day I saw a child walking with his mother near Sechelt. He was trailing a huge maple leaf while his mother pushed an infant in a stroller. It reminded me of the day a young neighbour showed my children how to run with a maple leaf against her face like a mask. She raced along the trail with such energy and joy while the sun filtered through the bigleaf maples, part of this grove of trees, children and parents, the living and the dead held together by the intricate lattice of memory. ~ by theresakishkan on October 22, 2012. Thanks for your extra effort in chasing up Dad’s lifter. How strange little things become ridiculously blown out of proportion in the face of mitigating circumstance. I don’t think it’s strange at all that objects serve as symbols of our connection to family, to history, to tradition. It’s a very nice egg lifter, after all! And it was a pleasure to watch you guys at work to help make our occasion such a success! Thank you so much. Will look forward to visiting you soon. This entry was posted on October 22, 2012 at 3:44 pm and is filed under Uncategorized.You can follow any responses to this entry through the RSS 2.0 feed.You can leave a response, or trackback from your own site.